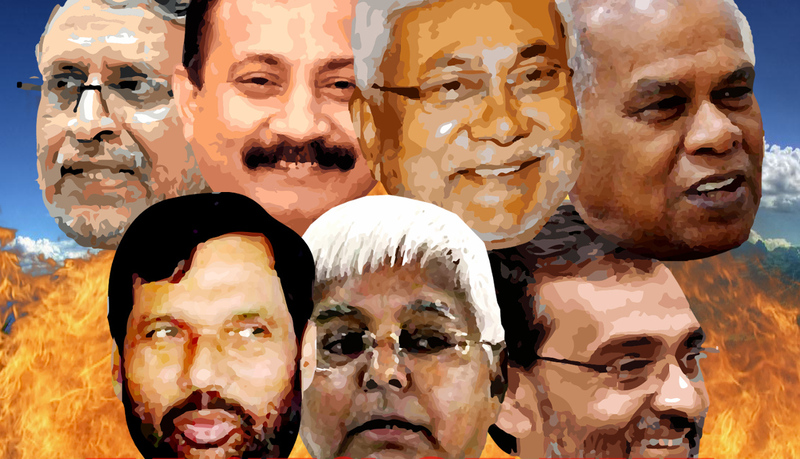 PATNA: Blood groups of politicians are the new topic of debates at this Lok Sabha polls. The issue of discussion now is that how the blood groups of many arch-political rivals remain the same. RJD chief Lalu Prasad and Bihar chief minister Nitish Kumar fall in this factory. Although they have been bitter political rivals and their main politics has centred around campaigning against each other, they have the same blood group—B+, as per an official information. At one point of time, both worked for the same party, the parent Janata Dal with “Chakra” symbol but later Kumar parted ways and formed his own party, Samata party which later merged with the Janata Dal United (JD-U). After humiliating poll debacle in 2014 LS polls, Kumar became friend with Prasad again and later contested the next 2015 assembly elections together. The Grand Alliance of which both were the part along with the Congress made spectacular performance in the elections, defeating the NDA but two years later Kumar has now again returned to the BJP camp. Likewise, RJD leader Tejashwi Yadav and his arch rival Chirag Paswan, LJP, have the same blood group—O+. On the other hand, the blood groups of Prime Minister Narendra Modi and Congress chief Rahul Gandhi are entirely different. While Modi’s blood group is A+, Rahul’s blood group is B negative, reports said.